Access to healthcare has been a significant concern throughout 25 years of KHRG reporting. Access to healthcare for villagers has been deliberately denied through Tatmadaw’s imposed restrictions on freedom of movement and the trading of medical supplies in the 1990s and 2000s. Since the 2012 ceasefire, barriers in accessing healthcare have changed from conflict-related to infrastructure-dependent, including the lack of adequate roads to rural areas, and the lack of functioning healthcare facilities in rural areas. 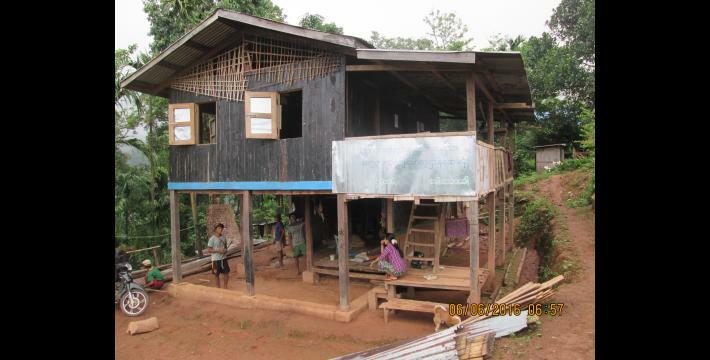 Displaced villagers suffer disproportionately from a lack of access to healthcare and medical supplies when in hiding. Due to severe restrictions on villagers’ movement, sickness, malnutrition and disease are estimated to have killed more people throughout the conflict than the direct violent abuses of Tatmadaw and EAGs. When healthcare facilities are available and accessible, patients report that they are frequently understaffed, lack essential medical supplies, and operate unreliable opening hours. Additionally, villagers have raised complaints about the acceptability of healthcare standards, particularly those made recently available since the 2012 preliminary ceasefire. They have experienced disrespectful and discriminatory Myanmar government healthcare staff, lack of information on the side effects of medicine prescribed, and arbitrary denial of treatment. The standard of healthcare services, when made available, has been consistently low throughout 25 years of KHRG reports, particularly in rural areas of southeast Myanmar. Villagers have relied on traditional medics and traditional medicines, most especially during conflict and when in hiding, but this dependence continues in areas which are not served by permanent healthcare staff and in areas where medical supplies are not available. Significant financial barriers persist with regard to free and equal access to healthcare. 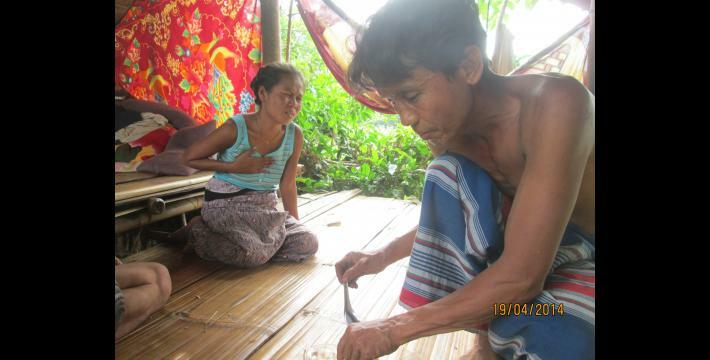 The financial consequences of Tatmadaw, BGF and EAG abuses, including financial extortion and a lack of time for villagers to work for their own livelihoods, left many villagers financially insecure and unable to pay for basic medicines. Whilst these abuses have reduced, villagers report that they continue to find healthcare inaccessible due to financial barriers including the cost of travel to hospitals, the cost of medicine, and the unwillingness of some healthcare staff to treat poorer patients. Based on villagers’ testimony, this healthcare chapter provides an analysis of how villagers’ experiences and perspectives in regards to their health needs have evolved over the past 25 years. Over a quarter of a century, villagers in southeast Myanmar have consistently identified access to and the acceptability of essential healthcare services as one of the biggest challenges they face, despite the changing context. Decades of conflict have severely impacted civilian health in more ways that direct abuse and torture, by prompting displacement and impeding investments and improvements in essential health infrastructure, particularly in rural areas. Since the 2012 preliminary ceasefire, the situation of human rights violations which impact the condition of villagers’ health in KHRG operation areas have improved to a notable extent. However, significant shortfalls in healthcare provision remain and whilst abuses have decreased, the additional health consequences of conflict on livelihood and financial insecurity, vulnerability to disease, lack of basic health awareness, lack of access to a range of medicines and treatments, a shortfall in skilled and qualified healthcare workers, and inadequate medical and transport infrastructure have not decreased. The result is that despite an easing of direct abuses against villagers by Tatmadaw and some EAGs, serious health concerns persist for villagers in southeast Myanmar. This chapter is structured to review villagers’ concerns and experiences over 25 years with regard to: access to healthcare; the acceptability of healthcare services related to supplies and services; the acceptability of healthcare services related to staff and skills; and the impact of livelihood and financial insecurity on access to healthcare. Additionally relevant, protection of the health of civilians in conflict, including the treatment of wounded and the protection of medical facilities and staff, is recognised in both customary international humanitarian law and the First and Fourth Geneva Conventions of 1949. “Every rightis important but you have to be healthy if you want to gain education.Therefore, the right to education can [only] come after the right to health care.Things are like that. You must be healthy ifyou want to study. Ifyouare healthy, youcan work toearna living. To be able to earn a living, you need to [also] have freedom of movement and the right to work. Thus, [if you have these] there is no barrier to block your rights. As a human, we have to use our rights in an appropriate way. Nobody should disturb [take away] our rights. We have to take our rights fully [not one right without another] and we have to do our best. If we can work, we can get [enough] food. If we get food, we are healthy. As long as we are healthy, we can study. If we can study, we will be educated. If we are educated, we can improve our community. Villagers caught with medical supplies had these items confiscated as part of the ‘Four Cuts’ policy and faced the risk of excessive abuse under the accusation that they were using medical supplies to support Karen ethnic armed groups (EAGs) or trade with villagers in hiding, a common strategy used by villagers to support each other throughout oppression. 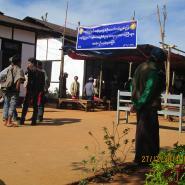 Villagers who were forcibly relocated faced further abuse as they were relocated to areas under strict Tatmadaw surveillance, without access to services including healthcare or medical supplies, forced to buy basic medicine at inflated prices from Tatmadaw medics, and were restricted from traveling outside of these relocation zones without paying extortive fees for permission letters in order to access hospitals or clinics when sick. Due to the inhumane conditions villagers have endured during portering and forced labour, villagers have suffered from various diseases and health ailments. 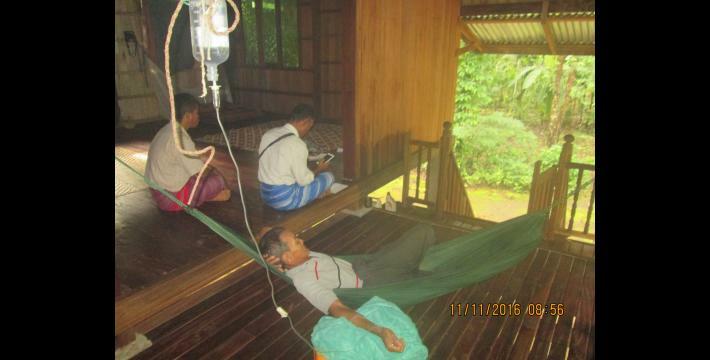 Without adequate access to healthcare facilities and services, countless villagers have died of treatable diseases during decades of Tatmadaw’s oppressive control, often malaria or diarrhoea. 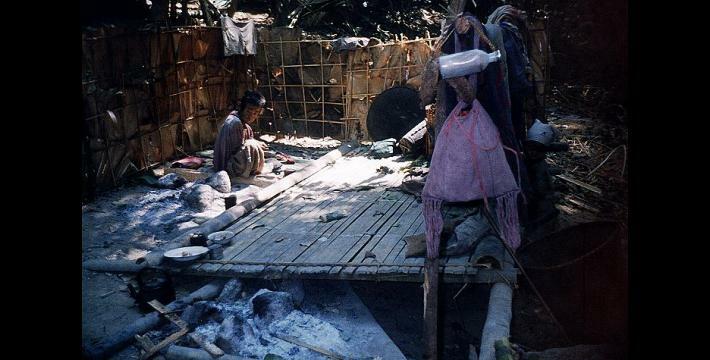 The abuses by Tatmadaw and at times EAGs therefore have had prolonged health impacts for villagers, including weakness, disease and death, that extend beyond the direct remit of violent abuse for which they can be directly held accountable for. The lack of acceptable and accessible healthcare services in southeast Myanmar therefore carries with it memories of negligence and abuse by Tatmadaw of villagers’ health under conflict. “On May 29th 2014, in Toungoo District,Thandaunggyi Township,a villager from A--- village delivered her baby. 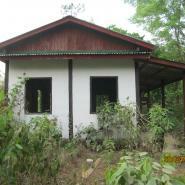 There were mid-wives appointed by the [Burma/Myanmar] government, but they were never in the village. She had to deliver the baby with a hired [non-formally trained] midwife. Because she delivered the baby with a hired mid-wife, it took so long that her placenta did not come out and the hired mid-wife [had to] cut her placenta out with scissors. The blood ran without stopping and she died. If there were mid-wives [from the Burma/Myanmar government] and medicine, we could have saved the pregnant woman”. The above testimony by a KHRG researcher suggests that not only physical barriers of a lack of clinics and infrastructure in rural areas impact villagers’ access to healthcare, but also ethnic divisions continue to impact the adequacy of healthcare that Karen villagers receive, as a trained, appointed Myanmar government health worker does not want to live “amongst the Karen people”. As the above report suggests, healthcare providers have been active in increasing health awareness trainings to villagers after the preliminary ceasefire, although many areas remain poorly serviced and lack permanent healthcare staff. Additionally, villagers have found that they are not consulted on their health priorities with regards to the trainings that are available, and do not know the schedule of when these mobile teams will return to their community. The reliance on CBOs and local Karen medics due to inadequate Myanmar government services is evident throughout KHRG’s 25 years and the presence of these local organisations has been life-saving for villagers in hiding or immobile due to severe movement restrictions and poor infrastructure. However, even with these various actors providing services in rural areas, many villagers have suffered over 25 years from inadequate access to healthcare facilities and services. The recent improvement in quantity of healthcare buildings has done little to improve the health of villagers on the ground if the services remain unstaffed, without medicine, and without coordination or consultation by different service providers. Problems of poor communication between health workers and patients, a lack of awareness for patients about their health options, and poorly trained medical staff, are evident also in recent cases where healthcare providers have denied patients treatment for no evident reason, failed to communicate how to safely and effectively use prescribed medicine and medical supplies, acted negligently by failing to discuss potential side effects of treatment with patients, and been unable to offer effective treatment to patients in need. This is aggravated by the lack of culturally appropriate staffing in southeast Myanmar, with many Myanmar government-appointed healthcare staff being unable to speak Karen and therefore unable to communicate with patients effectively. For this reason, villagers have reported serious side effects after receiving vaccinations from insufficiently trained health workers, and lack trust in some Myanmar government health workers to work in the best interests of the patient. These experiences do little to empower villagers to respond to their own health needs. 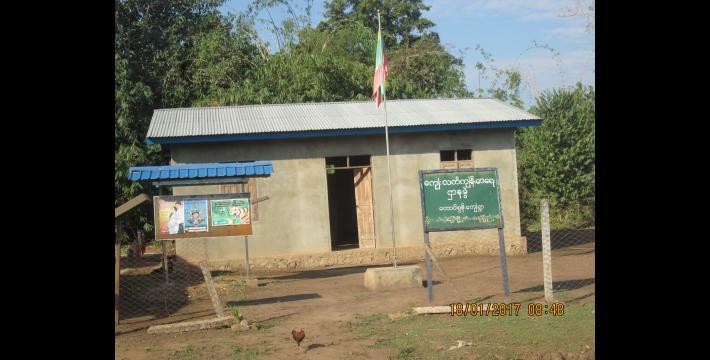 Furthermore, reports of poor communication do little to encourage villagers to access Myanmar government services where they are made available. Additionally, through abuse by armed actors, namely Tatmadaw, villagers according to KHRG reports have been forced into states of poverty and financial insecurity, directly impacting their health. Due to constant demands for forced labour evident in KHRG reports between 1992 and 2012, with some districts reporting cases of forced labour ongoing in 2015 and 2016, villagers have often been left with little time to devote to their farms and other income generating activities, negatively impacting their livelihood, finances and food security. These concerns have been compounded by Tatmadaw’s direct theft and destruction of land, food stores, and means of food production during village attacks in the 1990s most commonly, but also in the late 2000s. The abuses of theft, looting, extortion, land confiscation and forced labour have weakened traditional livelihood subsistence, directly impacted villagers’ food security, financial security and, therefore, their physical health. As such, villagers throughout KHRG’s reporting period have been left with little money to spend on health services or medications, forced to go without treatment or to sell their remaining possessions for treatment. Of concern, villagers living with disabilities related to landmine incidents or other physical effects of the conflict continue to suffer due to the void in adequate health services and no additional welfare support. It is therefore pertinent that villagers, particularly those who have lived through sickness, abuse and poverty, continue to face the health consequences of insecure livelihoods and finances with regards to access and acceptability of health services, highlighting that healthcare has not been and continues to not be free, with equal treatment and equal access for villagers in southeast Myanmar. The cases analysed and presented here demonstrate the persistent void in healthcare services in southeast Myanmar over 25 years, and the life threatening consequences that this continues to have. 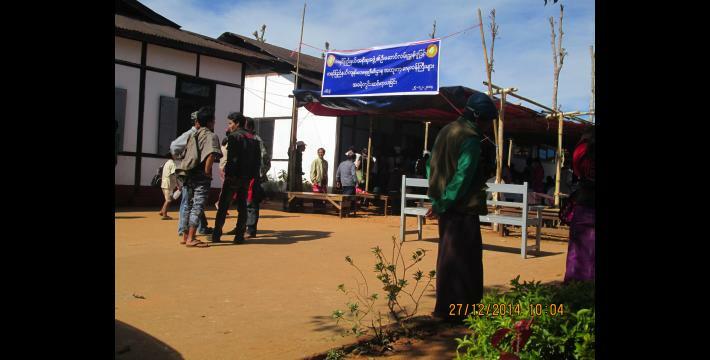 Whilst some recent developments have been hailed as improvements, such as the increased construction of clinics and hospitals, and the lifting of restrictions on freedom of movement and trade of medical supplies, this chapter demonstrates that many essential healthcare services remain both inaccessible and unacceptable, particularly for vulnerable and rural populations in southeast Myanmar. Severe barriers to security of health under conflict due to movement restrictions, prohibitions on medicine, displacement and forced relocation have diminished, only to be overshadowed by physical barriers of poor roads preventing both patients travelling to hospitals and health workers travelling to villages, and the lack of permanent health workers in rural areas result in continued cases of villagers not receiving the treatment that they need, often urgently. The result is the same: that villagers in southeast Myanmar do not have adequate access to healthcare services, and sickness and death from otherwise preventable cases continues to be the result. Moreover, villagers’ voices presented here testify that when services are available, the quality remains unacceptable, with cases of discrimination by health workers against poorer patients, patients receiving incorrect treatment, and patients lacking access to the necessary medicines. 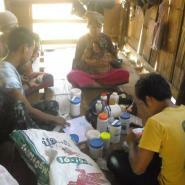 Additionally, a significant barrier to accessing adequate healthcare for villagers in southeast Myanmar which is yet to be removed is financial, as throughout KHRG’s 25 years analysis villagers’ have reported the severe financial consequences of both abuse and health treatment, with many falling into debt in order to pay for even basic healthcare. Villagers have used their own strategies to maintain health, relying on the use of traditional herbal medicine and local healers, but these cases fall short of acceptable health standards and villagers express their desire for improved access to health in all areas. Ultimately, whilst the most severe restrictions and abuses which impacted villagers health during conflict have reduced, it is concerning to see that the necessary services have not been established in the post-ceasefire period to the extent and standard that is urgently needed. The result is that, whilst the extreme and immediate health consequences of abuse and conflict are no longer present in KHRG reports, villagers remain blocked from enjoying their right to full health. “DEATH SQUADS AND DISPLACEMENT,” KHRG, May 1999. 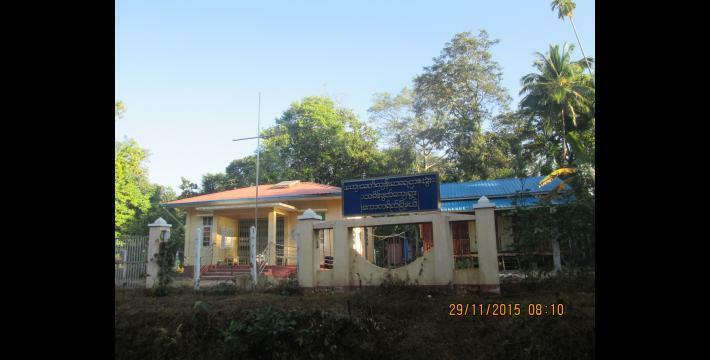 “Thaton Situation Update: Thaton Township, January to June 2015,” KHRG, January 2016. 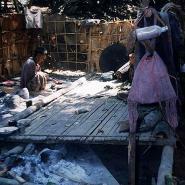 Article 25, “Every one has the right to a standard of living adequate for the health and well-being of himself and of his family, including food, clothing, housing and medical care and necessary social services.” “Universal Declaration of Human Rights,” United Nations General Assembly, December 1949. Myanmar was one of the first countries to vote in favour of adopting this non-binding Declaration. Article 12, “The States Parties to the present Covenant recognize the right of everyone to the enjoyment of the high estattainable standard of physical and mental health.”“International Covenant on Economic,Social and Cultural Rights,” United Nations General Assembly, 1966. Myanmar signed the ICESCR in July 2015. “CONSTITUTION ON THE REPUBLIC OF THE UNION OF MYANMAR,” September 2008. The killing or denial of medical treatment to the wounded in conflict is a grave breach of the Geneva Convention of 1949, see Article 3.2: “The wounded and sick shall be collected and cared for.” Geneva Convention, 1949. Article 18, “Civilian hospitals organized to give care to the wounded and sick, the infirm and maternity cases, may in no circumstances be the object of attack but shall at all times be respected and protected by the Parties to the conflict.”“Convention (IV) relative to the Protection of Civilian Persons in Time of War,” International Committee of the Red Cross, August 1949. See also “Customary IHL: Rule 28. Medical Units,” International Committee of the Red Cross, 2012. Tatmadaw refers to the Myanmar military throughout KHRG’s 25 years reporting period. The Myanmar military were commonly referred to by villagers in KHRG research areas as SLORC (State Law and Order Restoration Council) between 1988 to 1997 and SPDC (State Peace and Development Council) from 1998 to 2011, which were the Tatmadaw-proclaimed names of the military government of Myanmar. Villagers also refer to Tatmadaw in some cases as simply “Burmese” or “Burmese soldiers”. In Burma/Myanmar, the scorched earth policy of ‘pyatlaypyat’, literally ‘cut the four cuts’, was a counter- insurgency strategy employed by the Tatmadaw as early as the 1950’s, and officially adopted in the mid-1960’s, aiming to destroy links between insurgents and sources of funding, supplies, intelligence, and recruits from local villages. See Martin Smith. Burma: Insurgency and the Politics of Ethnicity, New York: St. Martin’s Press, 1999 pp. 258-262. See also, “GRAVE VIOLATIONS: ASSESSING ABUSES OF CHILD RIGHTS IN KAREN AREAS DURING 2009,” KHRG, January 2010; and “Attacks and displacement in Nyaunglebin District,” KHRG, April 2010. “Papun and Nyaunglebin Districts, Karen State: Internally displaced villagers cornered by 40 SPDC Battalions; Food shortages, disease, killings and life on the run,” KHRG, April 2001; see also “Photo Set 2002, Section 2: Attacks on Villages and Village Destruction,” KHRG, December 2002. Attacking medical units is recognised as a grave breach of customary international humanitarian law. See, “Rule 28. Medical Units,” International Committee of the Red Cross, 2012. It is a breach of the Fourth Geneva Convention, Article 18, “Civilian hospitals organized to give care to the wounded and sick, the infirm and maternity cases, may in no circumstances be the object of attack but shall at all times be respected and protected by the Parties to the conflict.” “Convention (IV) relative to the Protection of Civilian Persons in Time of War,” International Committee of the Red Cross, August 1949. “Tenasserim Interview: Saw K---, August 2011,” KHRG, September 2011. Source #115; see also “[The two biggest challenges facing the community are] [h]ealth and conflict between Tatmadaw and other ethnic armed groups. These two things are important.”Source #168. Tatmadaw expert Maung Aung Myoe explains that the three-phased Tatmadaw counter-insurgency plan, developed in the 1960s, designates a territory as black, brown or white according to the extent of ethic armed group (EAG) activity. Phase one transforms a ‘black area’ into a ‘brown area,’ meaning it transforms from an area controlled by EAGs where the Tatmadaw operates, to a Tatmadaw-controlled area where EAGs operate. The second phase is to transform the area from a ‘brown area’ into a ‘white area,’ where the area is cleared of insurgent activities. The final phase is to transform a white area into a ‘hard-core area,’ during which more organisational works are necessary and the government forms pro-government military units for overall national defence. See Maung Aung Myo, Building the Tatmadaw: Myanmar Armed Forces Since 1948, Singapore: Institute of Southeast Asian Studies, 2009, p. 31-32; see also Neither Friend Nor Foe: Myanmar’s Relations with Thailand Since 1988, Singapore: Institute of Defence and Strategic Studies Nanyang Technological University, 2002, p. 71. These restrictions were reported by KHRG as recently as 2009 in Toungoo District: “OnNovember20th,2009,MOC#5beganblocking villagersfromKlerLaandGkawThayDer, TantabinTownshipfromtravellingontheroad to Toungoo.This occurred ata time when such a large number of individuals from areas around Kler La and Gkaw Thay Der were suffering from the flu and other winter illnesses that the Kler La hospital was full to the point of turning away patients. The movement restrictions prevented individuals from villages without medical facilities or medicines from travelling to Kler La to seek treatment, while preventing individuals already in Kler La but not admitted to the hospital from travelling to other towns or cities to get treatment or medicines. The situation was reported to SPDC [Tatmadaw] officials but the restrictions were not adjusted or relaxed. Such restrictions, which are particularly harmful for vulnerable populations such as children in need of medical treatment, are considered a ‘grave violation’ of children’s rights and explicitly condemned by United Nations Security Council Resolution (UNSCR) 1612.” “Forced Labour, Movement and Trade Restrictions in Toungoo District,” KHRG, March 2010. “The SLORC/SPDC Campaign to Obliterate All Hill Villages in Papun and Eastern Nyaunglebin Districts,” KHRG, February 1998; see also “Toungoo Situation Update: April 2011,” KHRG, June 2011; “ATTACKS ON KAREN REFUGEE CAMPS,” KHRG, March 1997. “The prohibition on carryingmedicinemeans that it must be bought and carriedsecretlytothe villages.The carrier risksbeingaccusedofsupplyingmedicinetotheresistanceandprobableexecution.”“PEACE VILLAGES AND HIDING VILLAGES: Roads, Relocations, and the Campaign for Control in Toungoo District” KHRG, October 2000; see also “Papun and Nyaunglebin Districts, Karen State: Internally displaced villagers cornered by 40 SPDC Battalions; Food shortages, disease, killings and life on the run,” KHRG, April 2000. 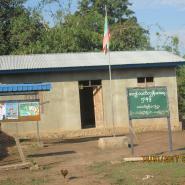 “Forced Labour, Movement and Trade Restrictions in Toungoo District,” KHRG, March 2010. “They didn’t provide food [at the relocation site]; the people had to bring their own food to eat. If you want to take medicine, you haveto buyitand ifyou don’t buy it, you can’thavemedicine.Sometimes youcantrade itfor chicken:2 tablets of para [Paracetamol] for ½ viss of chicken. But they don’t give it to you for free. 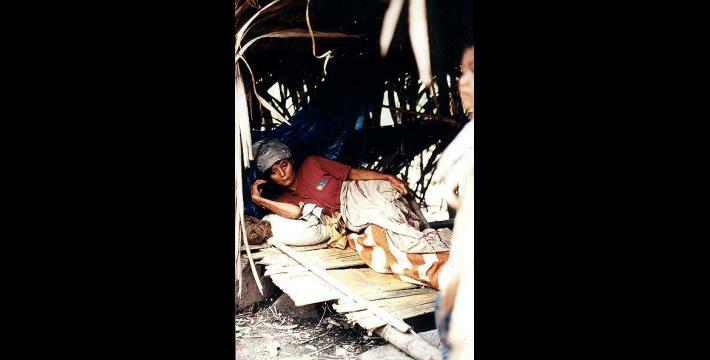 You have to trade with the Burmese soldier’s medic.” “STARVING THEM OUT: Forced Relocations, Killings and the Systematic Starvation of Villagers in Dooplaya District,” KHRG, March 2000. “Tenasserim Division: Forced Relocation and Forced Labour,” KHRG, February 1997; see also “INCOMING FIELD REPORTS,” KHRG, August 1994. See, for example, the testimony of Saw Eu---, 27 years old who was forced to porter in 1992 and saw 4 fellow porters be left behind to die due to weakness: “Isawit4 times. The men got malaria and couldn’t carry, so the soldiers kicked them and let them sit down, then they beat them up and left them behind. I got malaria and asked for water when we were climbing mountains. They refused to give me water and I cried. I couldn’t help crying all the time. I wanted to unload my burden but they wouldn’t allow me. I needed water, but they wouldn’t let me have any.” “PORTER TESTIMONIES: KAWMOORA REGION,” KHRG, December 1992. The killing of wounded prisoners or combatants in conflict is a grave breach of the Geneva Convention, see 3.2: “The wounded and sick shall be collected and cared for.” “Geneva Convention relative to the Treatment of Prisoners of War: 75 U.N.T.S. 135,” International Committee of the Red Cross (ICRC), October 1950. This word has been correctly amended to ‘lucky’ from ‘luckily’ in the original published report. “TESTIMONY OF PORTERS ESCAPED FROM SLORC FORCES,” KHRG, January 1992. 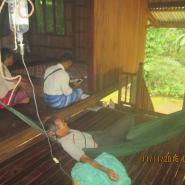 “The health situation for the internally displaced villagers is very serious. There is no medicine in the Ywa Bone villages and they are completely dependent on traditional medicines made from roots and leaves. Without letters of recommendation it is impossible to send people to Kler Lahor Toungoo for treatment. 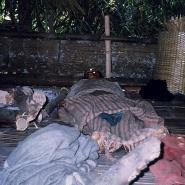 Twenty displaced people from Ha Toh Per village died from diarrhoea in 1999, simply due to a lack of basic medicines.” “PEACE VILLAGES AND HIDING VILLAGES: Roads, Relocations, and the Campaign for Control in Toungoo District,”KHRG, October 2000; see also “ABUSES AND RELOCATIONS IN PA’AN DISTRICT,” KHRG, August 1997; “Papun and Nyaunglebin Districts, Karen State: Internally displaced villagers cornered by 40 SPDC Battalions; Food shortages, disease, killings and life on the run,” KHRG, April 2001. “DEATH SQUADS AND DISPLACEMENT,” KHRG, May 1999; see also “PORTER TESTIMONIES: KAWMOORA REGION,” KHRG, December 1992; “SLORC SHOOTINGS & ARRESTS OF REFUGEES,” KHRG, January 1995. “Dooplaya Interview: Saw B---, March 2015,” KHRG, November 2016; see also “Nyaunglebin Situation Update: Mone Township, November 2013 to January 2014,” KHRG, July 2014. “Papun Situation Update: Northern Lu Thaw Township, March to June 2012,” KHRG, September 2012; see also “Nyaunglebin Situation Update: Mone Township, November 2013 to January 2014,” KHRG, July 2014; “Toungoo Interview: Naw A---, January 2015,” KHRG, July 2015. Source #129; see also “Hpapun Interview: Saw A---, July 2015,” KHRG, April 2017. “Toungoo Situation Update: Thandaunggyi Township, April to June 2014,” KHRG December 2014; see also source #11. “Toungoo Situation Update: Thandaunggyi Township, March to July 2015,” KHRG, March 2016. 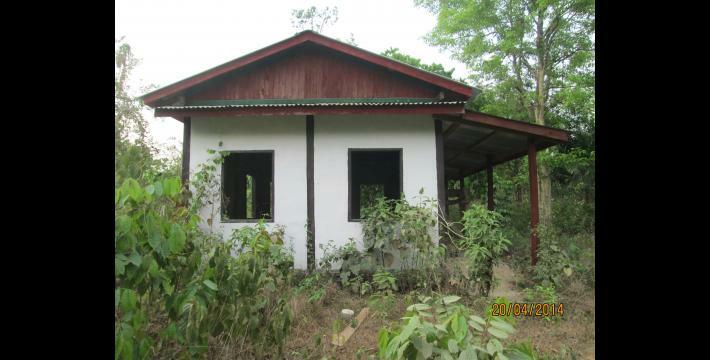 “Thaton Situation Update: Bilin Township, August to October 2014,” KHRG, April 2015. “Thaton Situation Update: Thaton Township, July to October 2015,” KHRG, April 2016. 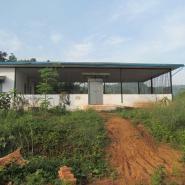 “The clinic was already built and the opening ceremony also was already held but until the present time the lock [on the clinic] has never opened [for the villagers]. There are also no medics or patients. The villagers were mainly talking about that clinic. 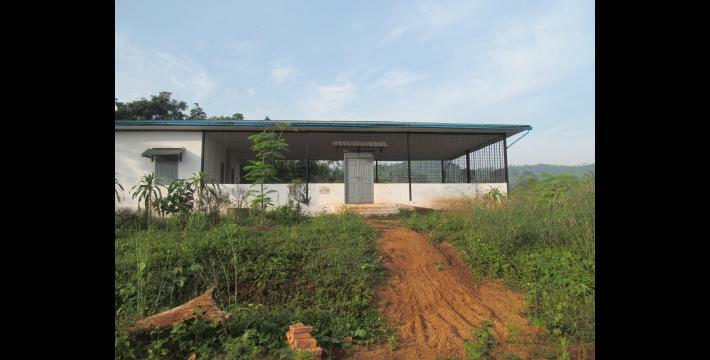 A villager from Eu--- village said that the clinic looks very beautiful but you cannot use it for anything.” Source #123; see also “Toungoo Situation Update: Thandaunggyi Township, November 2015 to February 2016,” KHRG, November 2016. 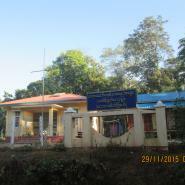 “Thaton Situation Update: Thaton Township, April 2014,” KHRG, January 2015. “Thaton Situation Update: Thaton Township, July to October 2015,” KHRG, April 2016; “Toungoo Situation Update: Thandaunggyi Township, November 2015 to February 2016,” KHRG, November 2016. “Hpa-an Interview: Saw A---, May 2014,” KHRG, May 2015. For more information see Chapter 6: Development. KHRG has previously published reports detailing incidents of negative side-effects as a result of elephantiasis vaccine. The KHRG community member could be referring to the incident which occurred between September 9th and 13th 2013, when elephantiasis vaccine was distributed to 1144 villagers from Kawkareik Township by the Myanmar government. Some villagers who received the vaccination experienced dizziness, vomiting, itchy skin, swollen testicles, and even one case of miscarriage. For further details see, “Dooplaya Situation Update: Kyonedoe Township, September to December 2013,” KHRG, September 2014. Similar incidents occurred in other districts. See for example, “Field Report: Thaton District, September 2012 to December 2013,” KHRG, December 2015. “Dooplaya Situation Update: Kyonedoe and Kawkareik townships, July to November 2014,” KHRG, January 2016. “Thaton Situation Update: Hpa-an Township, January to June 2014,” KHRG, October 2014; see also “Toungoo Photo Set: Ongoing militarisation and dam building consequences, March to April 2013,” KHRG, February 2014. Back Pack refers to the Back Pack Health Workers’ Team (BPHWT), an organisation that provides medical treatment for villagers in remote areas. “Toungoo district: Civilians displaced by dams, roads, and military control,” KHRG, August 2005; see also “Living conditions for displaced villagers and ongoing abuses in Tenasserim Division,” KHRG, October 2009. “We do not have clinics in our village but we have midwives and local health workers who know a bit about how to give treatments to sick people. We just get injections from them. If we have serious sickness or diseases, we have to go to [clinics] in Ep--- village to get medical treatment.” Source #170; see also “Toungoo Situation Update: Thandaunggyi Township, July to November 2014,” KHRG, April 2015; see also source #161. “Toungoo Situation Update: Thandaunggyi Township, January to February 2015,” KHRG, October 2015. 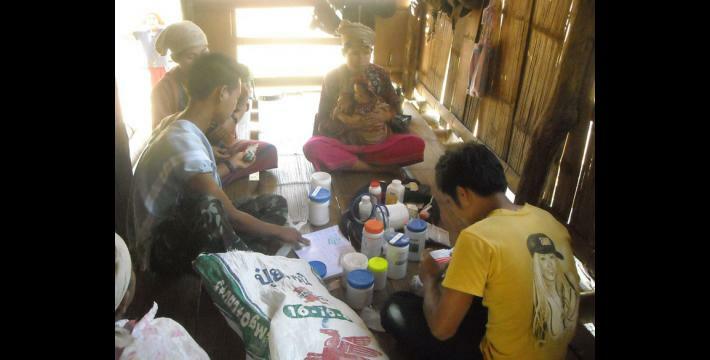 KHRG has received several other reports of villagers experiencing negative side effects after taking medicine for elephantiasis provided by the Myanmar government. See for example, “Dooplaya Situation Update: Kyonedoe Township, September to December 2013,” KHRG, September 2014; as well as “Hpa-an Interview: Saw A---, May 2014,” KHRG,May 2014; see also “Hpa-an Interview: Saw U---, December 2013,” KHRG, October 2014; and “Field Report: Thaton District, September 2012 to December 2013,” KHRG, December 2014. “Hpapun Interview: Saw A---, July 2015,” KHRG, April 2017. “Toungoo Situation Update: Thandaunggyi Township, June to August 2016,” KHRG, March 2017. “Toungoo Situation Update: Thandaunggyi Township, April to June 2014,” KHRG, December 2014; “Dooplaya Situation Update: Kyonedoe Township, September to December 2013,” KHRG, September 2014. “SLORC IN KYA-IN & KAWKAREIK TOWNSHIPS,” KHRG, February 1996. Source #30; see also “Hpapun Situation Update: Bu Tho Township, February to July 2014,” KHRG, September 2014. Source #94; see also “Toungoo Situation Update: Thandaunggyi Township, April to June 2014,” KHRG, December 2014; and “Hpapun Situation Update: Dwe Lo Township, May to August 2016,” KHRG, January 2017. “STARVING THEM OUT: Forced Relocations, Killings and the Systematic Starvation of Villagers in Dooplaya District,” KHRG, March 2000. “UNCERTAINTY, FEAR AND FLIGHT: The Current Human Rights Situation in Eastern Pa’an District,” KHRG, November 1998. For more information see Chapter 5: Looting, Extortion and Arbitrary Taxation. “SLORC IN KYA-IN & KAWKAREIK TOWNSHIPS,” KHRG, February 1996; “Achieving Health Equity in Contested Areas of Southeast Myanmar,” The Asia Foundation, June 2016. “[My most important human right] is health. I have been sick [and not accessed medical care] for around three years, so I cannot work on my farm. Therefore, I have to buy paddy for my family but I do not have money and I do not know where to find money. I am not healthy so I cannot do any job. 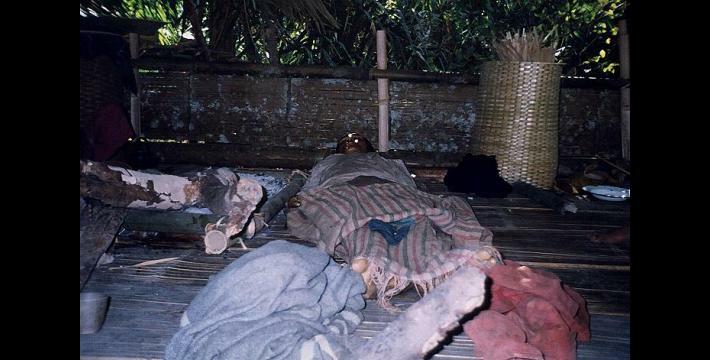 Moreover, I cannot do anything [to improve my health] without money.” Source #168; see also “On April 13th 1997 my cousin was hurt by the SLORC [Tatmadaw] because for only oneday he’d missed goingfor labour buildingthe houses for SLORC[soldiers’]families.TheSLORChithimwitha gun on his head, above his right ear, and his head was broken. So then the SLORC sent him to the hospital, but they didn’t give any food to feed him in the hospital, and they didn’t even pay the cost of the medicine. They only paid the hospital for the first day. Now my cousin still isn’t healed yet. He said he’ll come here once he heals. His farm and his big house were already taken by the SLORC because his fields are near the SLORC camp.” “ABUSES AND RELOCATIONS IN PA’AN DISTRICT,” KHRG, August 1997. “Nyaunglebin Interview: U A---, January 2016,” KHRG, February 2017. “Villagers risk arrest and execution to harvest their crops,” KHRG, December 2007. “STARVING THEM OUT: Forced Relocations, Killings and the Systematic Starvation of Villagers in Dooplaya District,” KHRG, March 2000; see also “Toungoo Situation Update: Thandaunggyi Township, April to June 2014,” KHRG, December 2014; “Toungoo Situation Update: Thandaunggyi Township, July to November 2014,” KHRG, April 2015. “Toungoo Situation Update: Thandaunggyi Township, July to November 2014,” KHRG, April 2015. 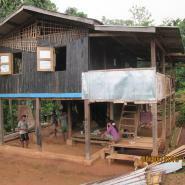 “Dooplaya Situation Update: Kya In Seik Kyi Township, September 2012,” KHRG, June 2013. “KAREN HUMAN RIGHTS GROUP INFORMATION UPDATE,” KHRG, February 1999.